– GS03 Active RF (Radio Frequency), these glasses operate without “Line of Sight”! – Rechargeable, a 3 minute quick-charge feature for up to 3 Hrs of battery life. – Enjoy the immersive, wraparound visuals of 3D movies and games. 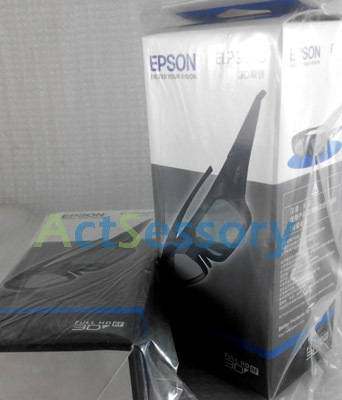 * For all Epson RF 3D Projectors. Including the PowerLite Home Cinemas EH-TW6000W TW6000 TW5900 TW8000 TW9000W, 2000, 2030, 3010, 3010e, 3020, 3020e, 5010, 5010e, 5020UB, 5020UBe, 5030UB, 5030UBe, and 750HD; Pro Cinemas 4030, 6020UB, and 6030UB; and the PowerLite W16 projector.